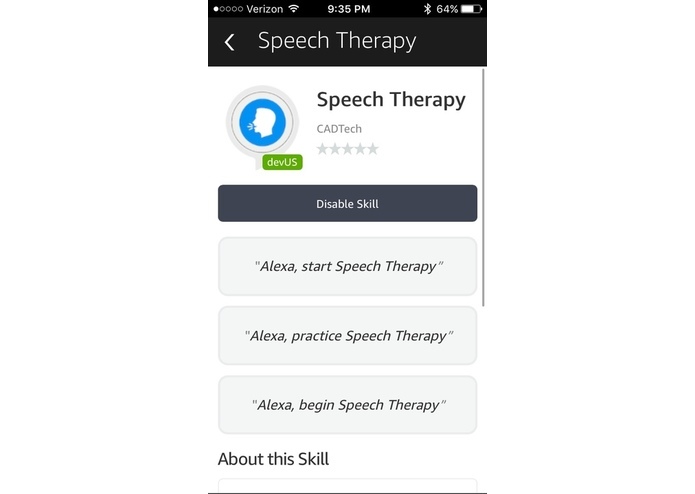 Speech Therapy is an Amazon Alexa skill meant for users who would like to improve their speaking skills. Nearly 1 in 12 (7.7 percent) U.S. children ages 3-17 has had a disorder related to voice, speech, language, or swallowing in the past 12 months. Children with such disorders often attend 'speech pathology services' to improve their speech, annunciation and dictation. These services are often simply sessions where the child/patient says and repeats certain phrases to reduce stuttering, mispronunciation and lisps. They are also often very expensive, sometimes costing $100+ for a half-hour session. 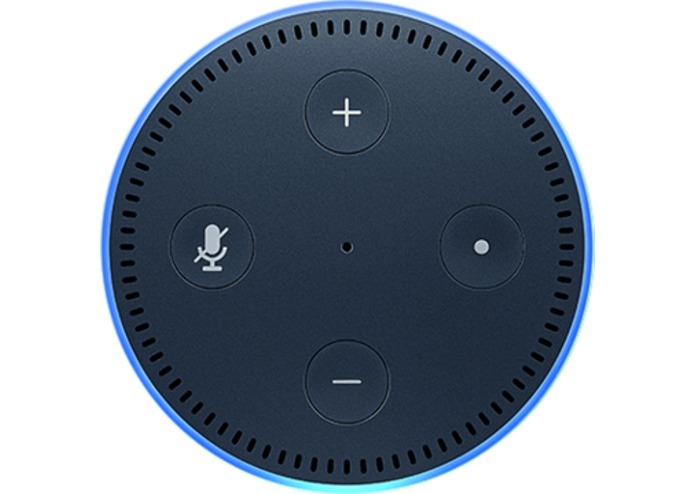 The user is asked to repeat phrases back to Alexa, which she then analyzes for errors such as stuttering, false starts, or mispronunciation. Speech Therapy then focuses on these problem areas, and continually drills the user on them. In this way, a user can rapidly improve the clarity of their speech patterns. 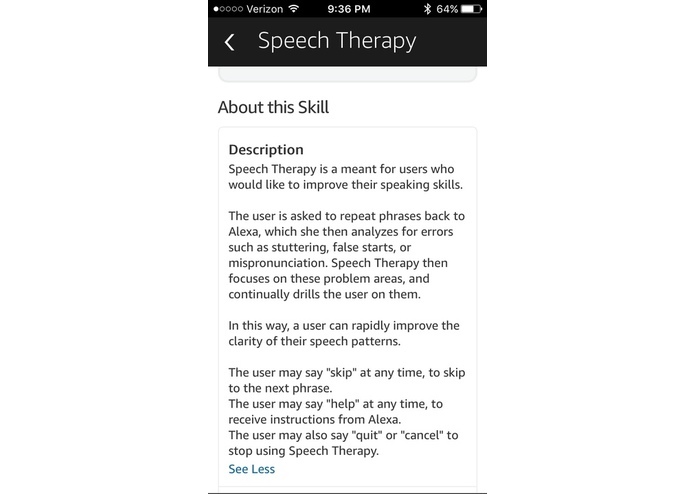 We built Speech Therapy using Amazon's Alexa Skill's Kit SDK. The logic for the application is hosted on a Lambda function on AWS. We faced a number of challenges when developing Speech Therapy. None of us had developed for Alexa (or any other natural language processor for that matter) before. 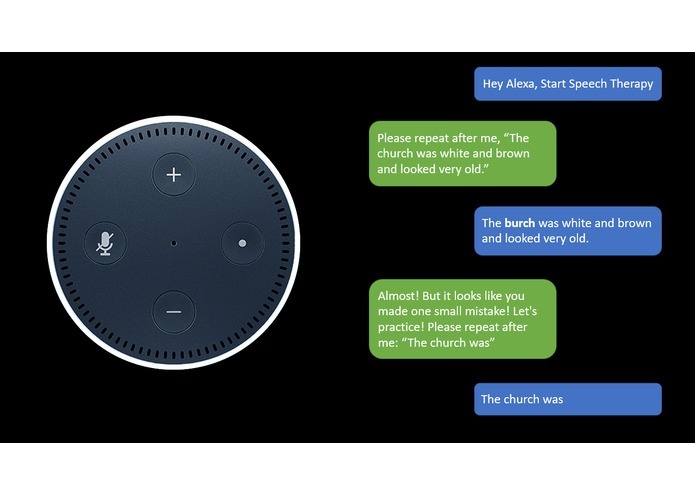 Before we could build anything substantial we had to familiarize ourselves with various concepts within the Alexa framework - such as 'intents', 'utterances' and 'slots'. We then faced the challenge of accurately pinpointing errors in the users speech, and then defining logic to focus on those areas. The application is able to relatively accurately detect exact errors within a phrase, and then focus in on these areas with the user. This involved defining custom logic and data structures. We learned a lot about developing for Alexa, and how it is integrated with the Amazon AWS ecosystem. We also learned quite a bit about speech therapy and speech disorders. 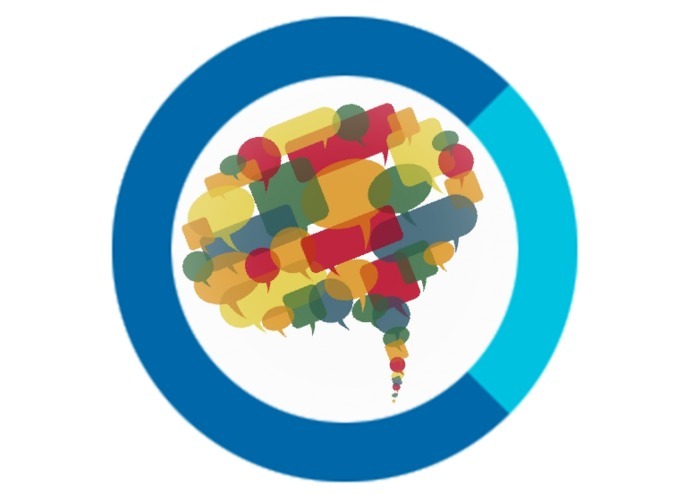 Speech Therapy has been submitted to the Alexa Skills Store (pending approval from Amazon). We would like to further its functionality by adding different modes, games and score-keeping, ultimately making the service more interactive and engaging for users. I worked primarily with the dev. tools available for Amazon Echo & for AWS Lambda servers. None of us have developed anything in the Amazon ecosystem before, so it was time consuming to get up and running! 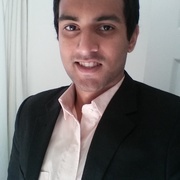 I also contributed to Abhinav and Cathal's work on the Lambda Server code, and I did much of the live testing on my Echo Dot.